Wondering what you'll be doing this summer with your kids? 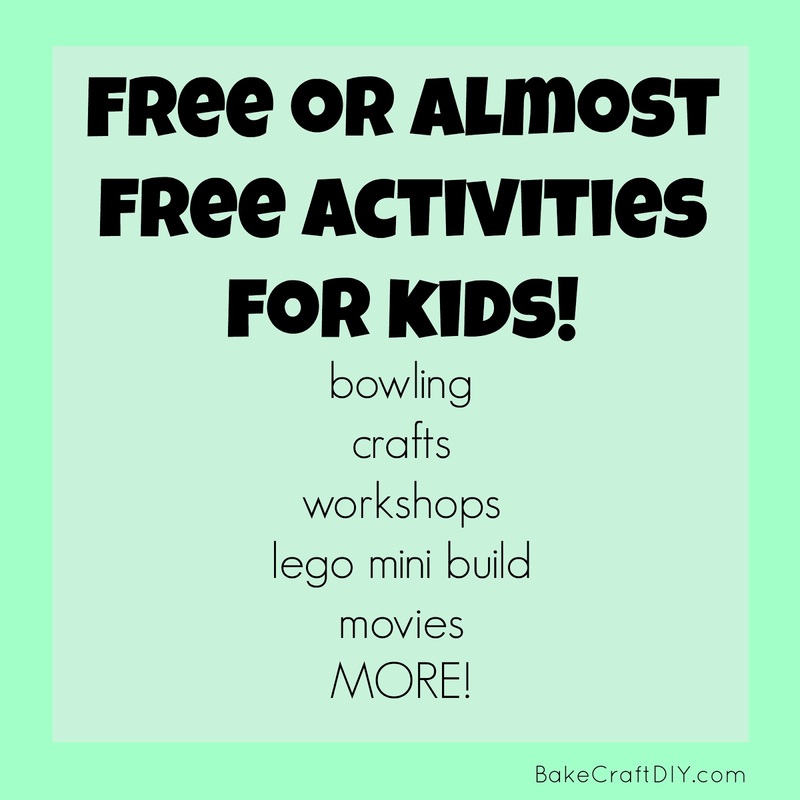 Here are some fun things to get your kids up and out of the house. Home Depot supplies everything you'll need, including an apron and goggles you can take home (plus if you go every Saturday they give you a patch to put on your apron for every competed project. The mini build is for kids ages 6-14. The Lego Store supplies the Lego and the instructions, your child must build the toy in store but they do get to take it home, free. The next event is June 7 & 8, and you can register for July's mini build starting on June 15th. Their next big build is Saturday June 11th, kids get to build their own Captain America. 2 Free Bowling Games a day for each child (shoe rental not included). -Side note- we don't have an AMF that close to us but we live down the street from a local bowling alley and they offer free games to kids, so check with your local alley even if it isn't AMF. The movies start at 10 AM and you have the choice of two different movies each week. The movies are all movies that are out of theaters/on dvd but it is a lot of fun and a great way to stay cool. You can see the movie schedule here: http://www.regmovies.com/Movies/Summer-Movie-Express? From 10-2 the $2 covers the cost of the craft supplies used and this is a great option if you don't have a Lakeshore for Saturday crafts. August 25-28, 2016 and September 24th. Ours offers all sorts of summer fun, from activities to reading programs where kids can earn points by reading to redeem for prizes. 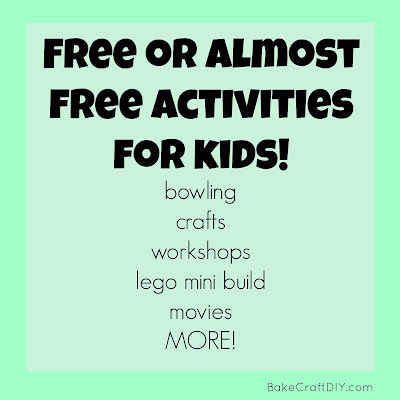 Hope this helps you plan out your summer a little bit more, if you know of any free or almost free activities for kids let me know in the comments so I can add them in.